Maxine Waters knew she was on live TV during her special hearing on Capitol Hill yesterday. So, the 80-year-old Chairman of the House Finance Committee made sure she gave the powerful, big, bad CEO’s of banks a real beating. Waters demanded to know what these horrible men were going to do about all the poor young Americans in debt by student loans. That’s when she got laughed right off Capitol Hill. You’ll love this. In all fairness to these CEO’s, they had every right to pile on the Congresswoman at this time. To their credit, they showed restraint. You’ll know why when you hear their answers. “We stopped making student loans in 2007 or so,” Mr. Monihan responded. With sarcasm in her voice, Waters said, “So you don’t do it anymore?” She then immediately moved on to the next banker. Come hell or high water, Auntie Maxine would get her man and bring him to justice. “Mr. Corbyn?” asked Maxine. You could feel the tension in the room. “When the government took over student lending in 2010, we stopped doing all student lending,” he replied. You could feel the chamber want to erupt in laughter. You see, back in 2010, Barack Obama federalized the student loan program. Maxine, as head of the Finance Committee, should know that. In the very least, Wacky Waters was being indignant toward the CEO’s over student loan debt, but in essence, it was her own party who is responsible. In 2010, President Obama effectively nationalized student lending by cutting banks — which had been offering government-backed loans to students — out of the equation and having the government make the loans itself. 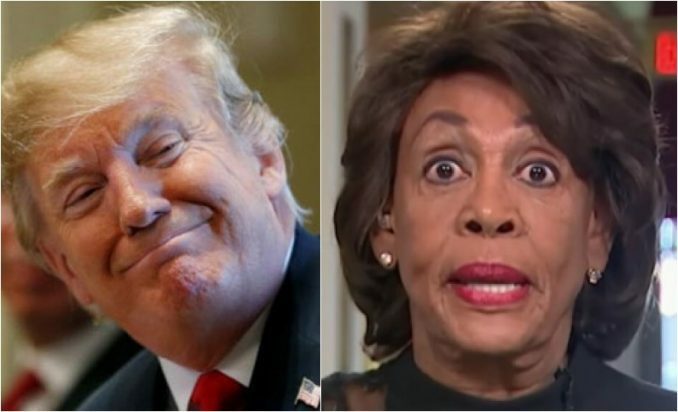 Too bad House inquisition by "Maximum Maxine" Waters isn't in prime time. She is most obvious example of someone who is in "WATERS" over her head, revealing she knew nothing about student loans, banking, or finance. Thanks, Dems for putting forth your best foot–in the mouth! This is what happens when there are no term limits and you have a Democratic Party that has fooled many African-Americans in the ghetto that the only party looking out for them is the party of Auntie Maxine. She thinks she can fake it before she makes it, the only problem is she is 80-years-old and isn’t even trying to do her job right. Well, she better get used to being the laughing stock of Capitol Hill.